BOHO Organic Fluid Foundation "Fluid & Green" offers good coverage with a natural sheer finish. Its light weight texture glides on your skin to deliver a weightless result. 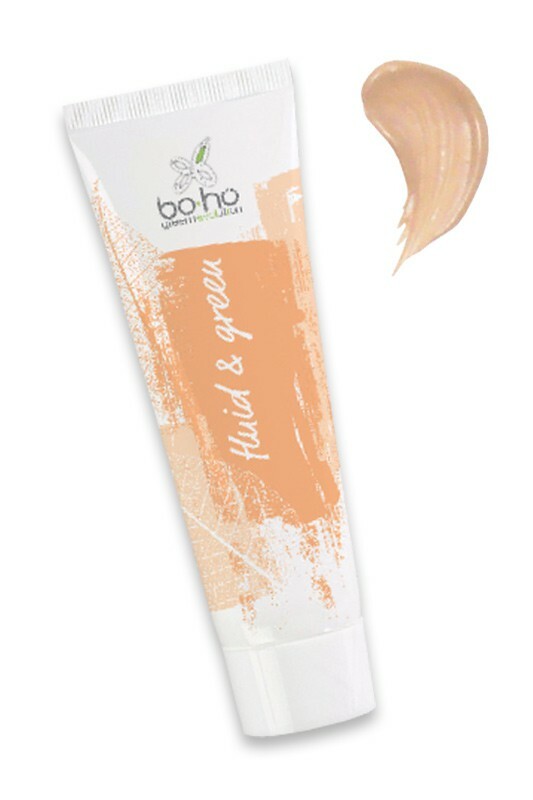 BOHO GREEN Natural Foundation exists in 8 shades for every skin tone and suits all skin types. Your complexion is even and looks fresh, your skin is moisturized and protected, ready for a brand new day ! HOW TO APPLY FLUID FOUNDATION ? Drop a small quantity of BOHO GREEN REVOLUTION Organic Foundation on the back of your hand. Take some product using BOHO Foundation Brush or Avril Makeup Sponge and apply from the center of your face stretching outwards. Set the foundation with a veil of Boho Green Organic Compact Powder.